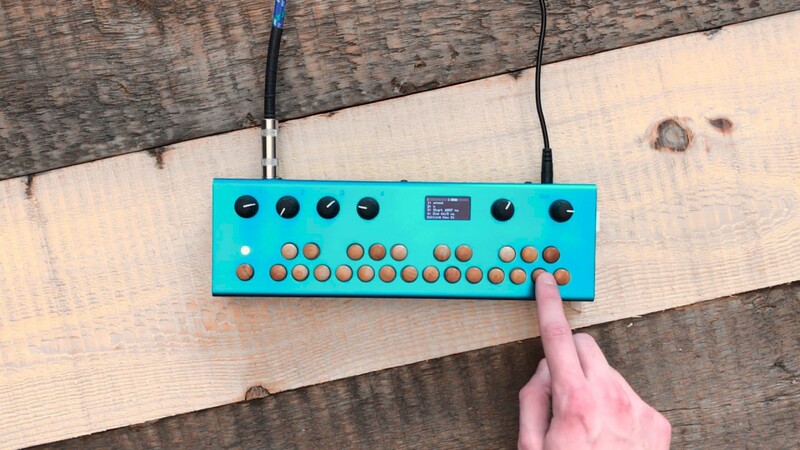 Zone is a polyphonic wavetable synth that blends up to four waveforms for unique timbres. 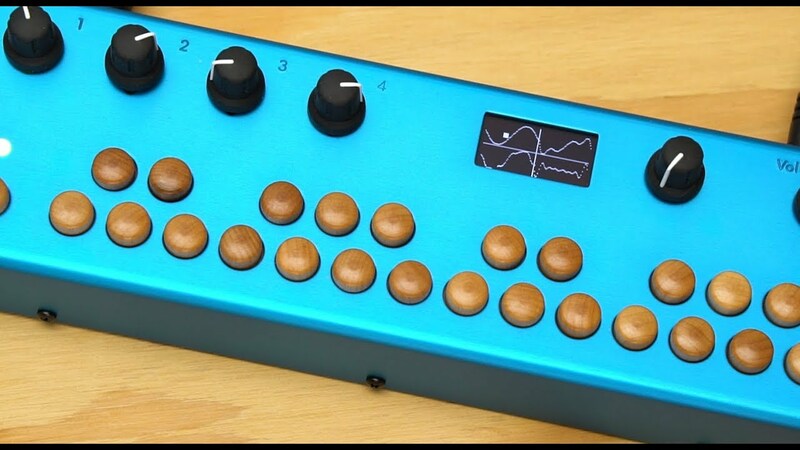 In Zone, the Organelle's screen is divided into four quadrants, each displaying a waveform. A moveable cursor illustrates the relative 'blend' of the four waveforms. For example, when the cursor approaches the center of the screen, you will hear all four waveforms. If the cursor is in an outer corner of the screen, you will only hear the waveform in that quadrant. Control the X and Y position of the cursor and automate it with an LFO. There are seven built-in wavetables that can be blended. 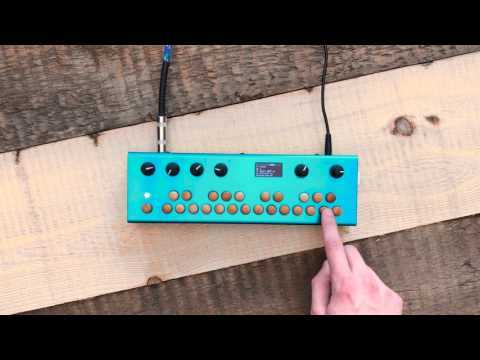 Sequenceable 'delay spa' for your input sound! 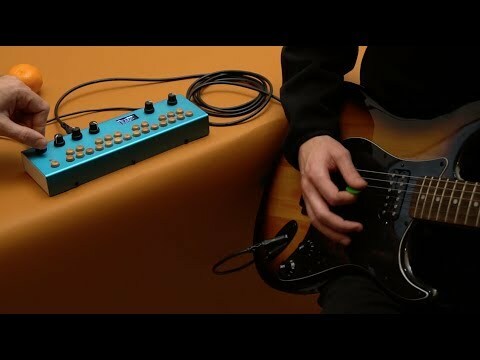 Two LFOs drive two delay lines for an evolving chorus/flanger effects or go wild with drastic delay bends. 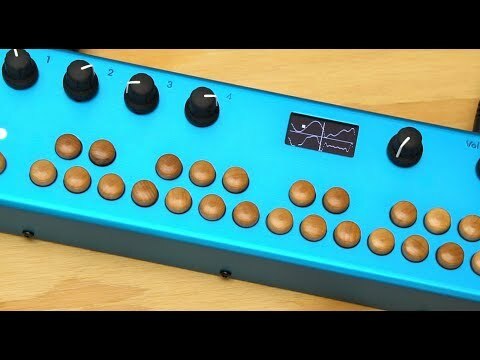 LFO Delay is an audio effect for the Organelle. Process incoming sounds with a plentitude of modulation. There are two delay lines. Their delay times are controlled by independent LFOs. Set the maximum delay time for each line and let the LFO oscillate between that time and zero. Freeze an LFO by turning its rate down for a sustained delay time. Use the sequencer to automate delay time ratio and feedback. The lower keyboard octave selects the ratio of max delay line times (C key is 1:1, B key is 1:6.5). The upper octave controls feedback (C key is 0%, B key is 99%). Chop up and manipulate a sample 24 ways, and then create a sequence of the results. In the folder for this patch is a sound file named "sound.wav." You can replace this with your own sound if you desire (up to 10 seconds in length). When you press and hold a key you enter key edit mode. In edit mode you can assign a segment of the original sound to each key (with adjustable speed and volume), creating 24 sounds from the original. Pop out of edit mode by pressing the aux button. 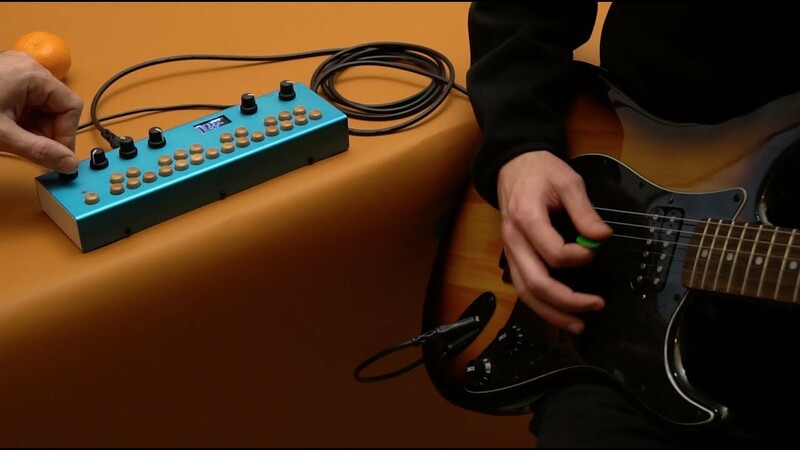 When you are not in edit mode, the knobs control overall modulation and reverb effects. Then use the aux button for creating a sequence. Pro Tip: In edit mode: Copy parameters from one key to another by pressing and holding a key and then press a second 'destination' key. This is useful for creating many similar segments. Don't forget to save your work! Use the 'Save' or 'Save New' command in Storage menu.